DribbleUp looks to pioneer the future of sports training by making traditional sports balls smart. 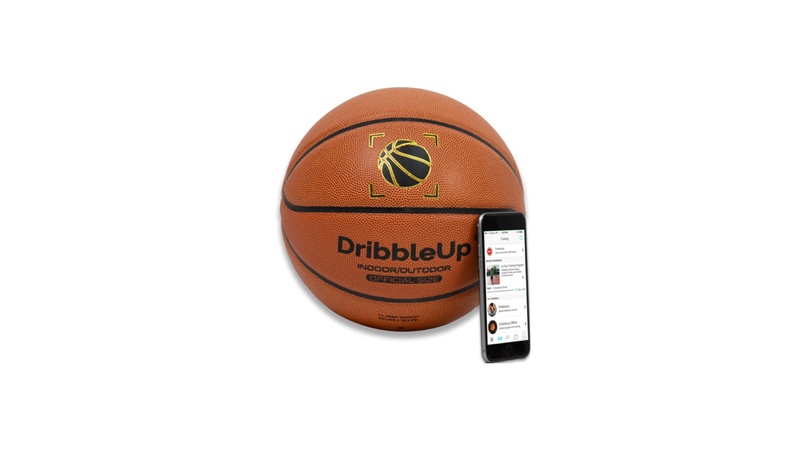 The range of products currently includes a smart basketball and a smart soccer ball that connect to the DribbleUp app and give you real time challenges, stats, and much more. I worked closely with the company's founders Eric and Marc Forkosh to develop the design for the balls as well as their iconography. Check out their website, DribbleUp.com and kickstarter. Because the company plans to expand into more sports it was important to make a coherent stylistic choice that would dictate the look for each new ball added to their product line. I chose to pair down the balls to their most basic indicators. Simple curved lines created by negative space communicate the ridges of a basketball while hard lines that give way to pentagons articulate the classic shapes found on a traditional soccer ball. To be visible to DribbleUp’s proprietary ball tracking software, the ball had to feature distinct lines and bright colors. Referencing the bright yellows of classic soccer balls, this ball features a more paired down and sleek design relative to the common loudness of other contemporary balls, articulating itself with strikingly purposeful curves and dots. Paying homage to Ronaldinho’s taste for flair, the ball features bright gold details that contrast nicely against solid black frames.